We maintain an extensive inventory of new and Bevcorp Certified filler replacement parts for Crown fillers designed and manufactured to the OEM standard. Replacement and repair parts are also available with design improvements and upgraded materials, such as stainless steel and hard chrome plate. We have a substantial inventory of pre-owned fillers that can be used for parts. 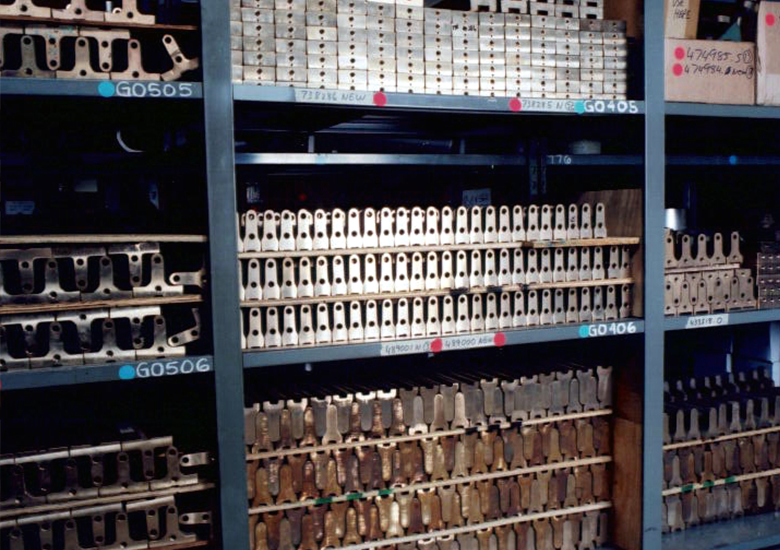 You can avoid hours of lost production time during an unexpected crash, by tapping into Bevcorp’s warehouse of quality, used, structural components (castings, brackets, etc.). Some parts seldom need to be replaced and could take weeks to manufacture, while a used, non-wearing equivalent part is often available immediately at a fraction of the cost of a new part. Specialty items can be quickly produced with our extensive in-house machining capabilities.